Spring has officially sprung in the Costwolds, well at least by date anyway! Here at Cotswold Baby Co HQ we’re looking forward to everything this lovely season has to offer – longer days, sunshine, playing outside, that wonderful fresh smell, Easter and of course adventures with our little cubs! To celebrate this loveliest of seasons, we’re offering a juicy 10% off our Birds & Ducks Collection for a limited time, with code ‘QUACKERS10’ at checkout. 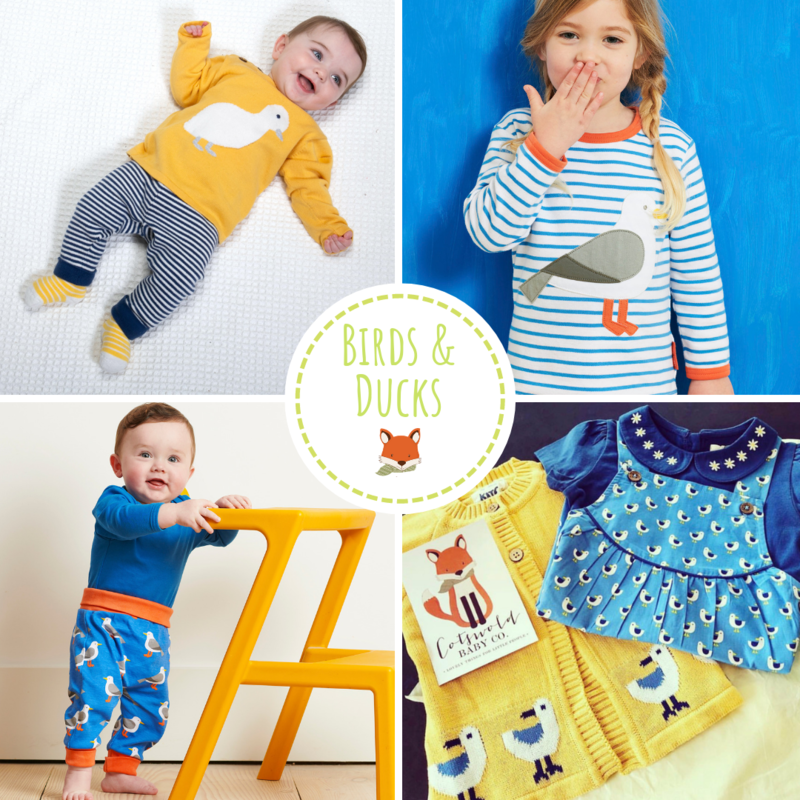 This cute collection of baby and children’s clothes is inspired by our feathered friends and are perfect for wearing on adventures this Spring! 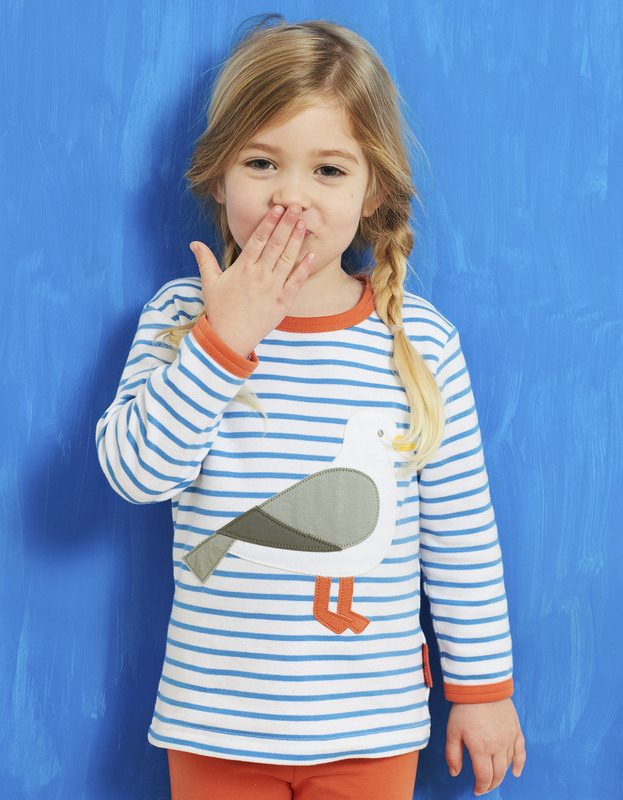 We love the cheeky appliqué seagull on this cute long-sleeved t-shirt from Toby Tiger! Made from super soft organic cotton, this unisex cute t-shirt is great for wearing on beach-day adventures this Spring! Available here for little people aged 6 months to 4 years. The arrival of Spring means that Easter is just around the corner! 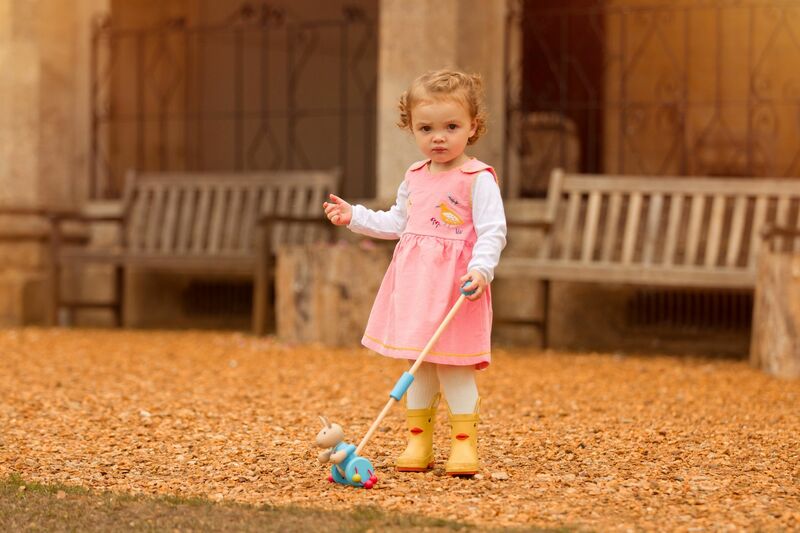 We think this cute Duck Pinafore Dress makes the perfect outfit for Easter, with adorable ducks embroidered on the chest. Wear with tights and a pretty vest for an adorable Spring look. Available here for little people aged 1-4 years. 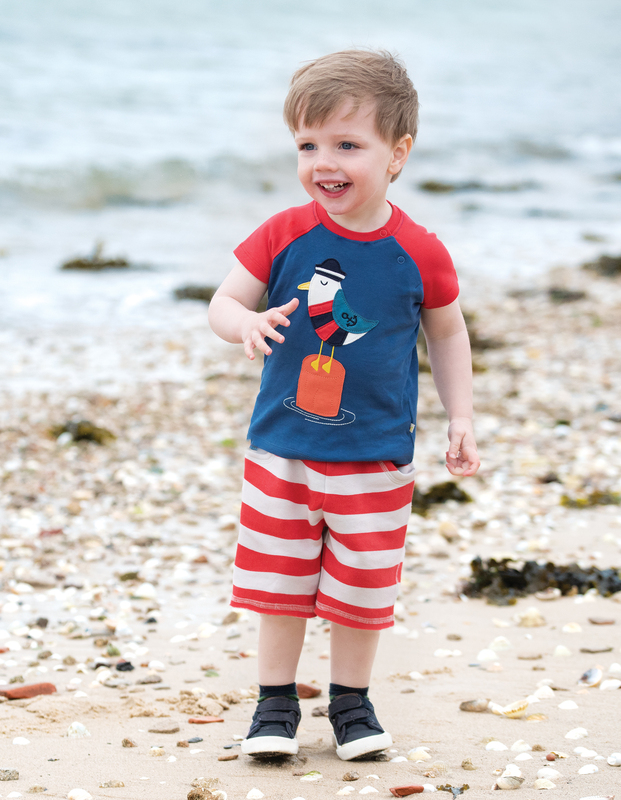 We love the cheeky seagull on this cute organic cotton t-shirt from Frugi – perfect for practicing seagull squawking in! The tomato-red striped shorts have a co-ordinating seagull on the back pocket too, great for beach day adventures! Available here for little people aged 3 months – 4 years. How adorable is this little duckling knitted set? 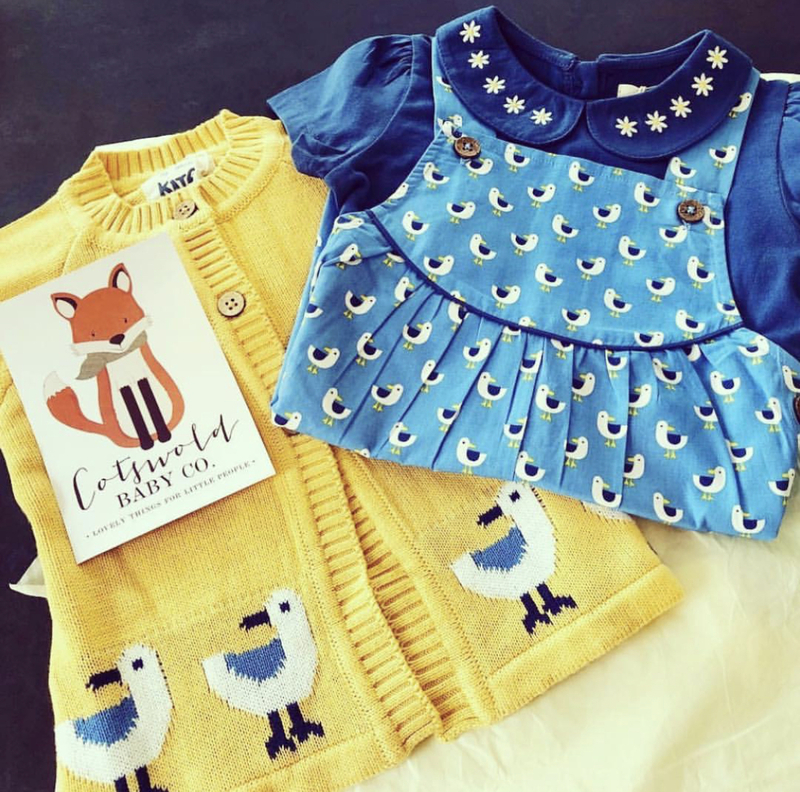 We love the intarsia knit little duckling on the sunshine-yellow jumper, it’s made from organic cotton so is super-soft against little skin. A lovely gift for newbies, or as a unisex baby shower gift! Available here for little ducklings aged 3 months to 18 months. There’s so much to like about this adorable Seagull Outfit from Kite Clothing! We love the all-over seagull print and the cute daisy embroidered Peter-Pan collar, along with the coconut shell buttons and that it’s made from organic cotton making it so soft! Wear with the adorable sunshine-yellow Seagull Cardigan for a wardrobe favourite this Spring. Available here for little people aged 6 months to 3 years. For little crawlers, climbers and cuties! These adorable seagull yoga pants are made from organic cotton and are so comfortable and soft to wear! With roll up cuffs at the ankle and waist, these lovely unisex trousers are sure to be a favourite! Available here for little people aged 3 months to 3 years. 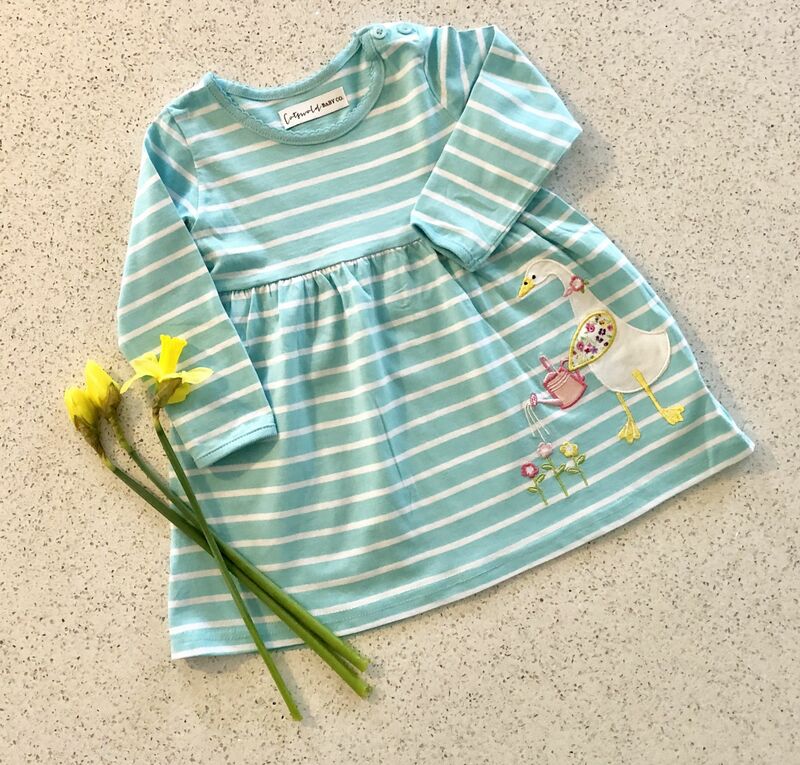 We love the spring colours on this lovely striped dress, with a cute appliqué duck watering her flowers on the front adding extra cuteness! Available here for little people aged 1-4 years. We hope you love Bertie Fox’s favourite picks from our feathered friends collection as much as we do! Remember you can get 10% off all pieces in our Birds & Ducks Collection with code ‘QUACKERS10’ at checkout. Hurry, offer ends on Monday at midnight! 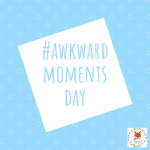 Next Post Bertie Fox Loves … Baby Leggings!